We asked Petros Koublis to be our guest for a week and he agreed. 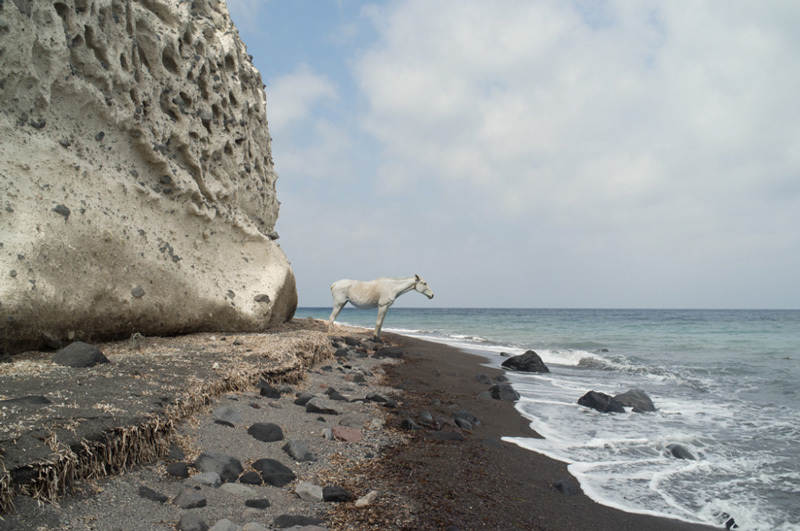 Petros sent us a selection of images from a very recent project (just a couple of months old) that he did on the island of Santorini. I’m still working on the text around this series, but there is this poem by Greek nobelist poet George Seferis, a poem that has influenced a lot this work of mine. that trod your sleep in the other, the sunken life. and fling it into the sea so that it sinks. into their sleep, into our sleep. the scales that tipped toward injustice. the islands, -rust and ash- are sinking. leaves of the palm tree in mud.